In this class, you will learn the basics of creating your own embroidery stitch files. We will use the Embrilliance Stitch Artist, Level 1, which is "designed for a hobby embroiderer who needs to be able to create stitches without going into debt or spending much computer time". We will be working to create one satin filled design and one applique design. Students must bring their laptop or computer, and MUST BRING A WORKING MOUSE. You must also already have the Stitch Artist 1 software loaded to your computer. If you are unsure whether digitizing and/or Stitch Artist is for you, you can download the demo version of Stitch Artist 1 from embrilliance.com, but please be aware that you will not be able to save whatever you create with the demo version. Class fee: $50.00 Teacher: Helen Coco If you don't already own this software, it is available from AllBrands. You may purchase the software from the store when you call or come in to register. This is the perfect class for beginners! We will discuss the tools you need for successful embroidery. We will cover machine safety, hooping, and basic supplies needed such as stabilizer, thread and needles. Our class project will be a holiday themed towel. Class fee $35.00 Kit fee: $6 Minimum of 3 Maximum of 10. See All Kimberbell Events Multiple Dates & Locations! "Enthusiast” is the component of the Embrilliance embroidery software that allows you to quickly and easily edit designs that others have created and/or that you have purchased elsewhere. 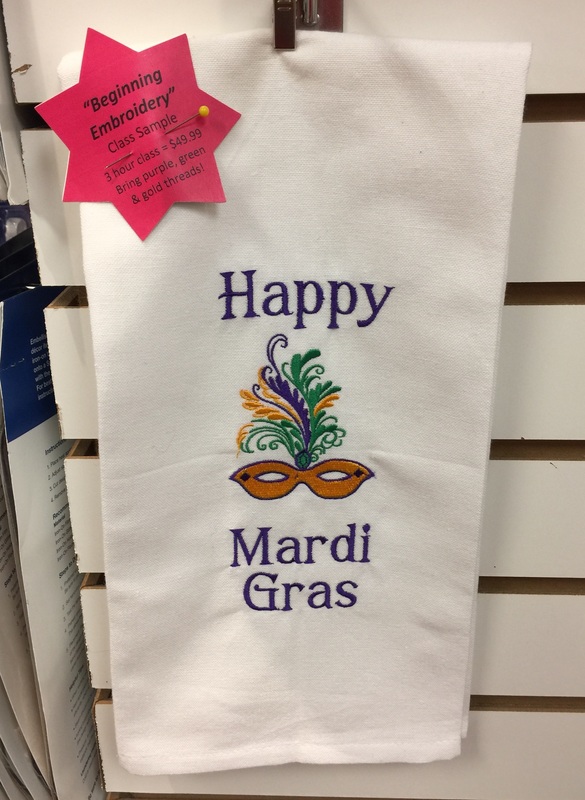 Enthusiast also gives you the ability to use a knockdown stitch (when embroidering on towels or other fabrics with a thick pile), gives you the ability to split monograms or designs, to save your designs in a picture format, and much, much more!